Full Volunteer Park preview is here. Regular readers may recall that last September I went on a Seattle mini-tour with my best friend for her birthday. 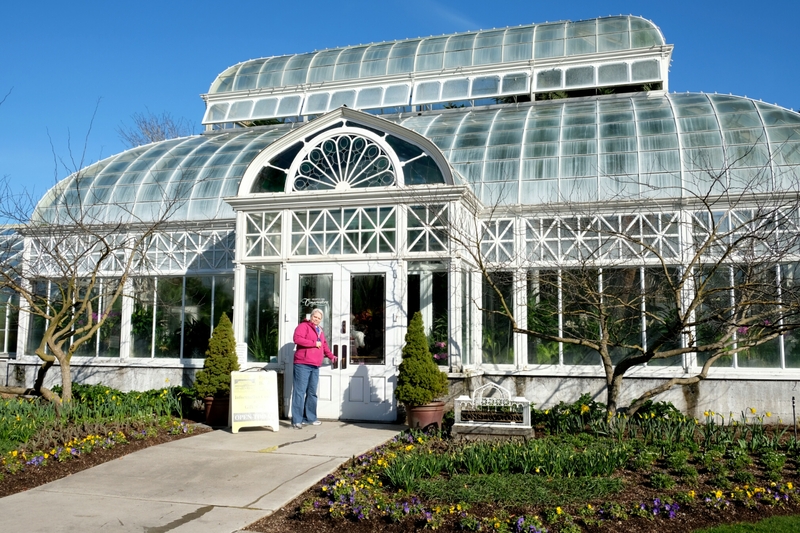 Our first tour stop was supposed to be the Conservatory at Volunteer Park, the one place she had requested to go. But we didn’t even make it to the park because the surrounding streets were shut down for a huge fun run event based inside the park. Fast forward to this March. After weeks of gray rainy days, I suggested this would be a good time to finally retry our aborted trip. The Conservatory is a great outing option when the weather is cold and/or wet. Mother Nature apparently has a sense of irony though. Our Escape From the Rain Sunday arrived, complete with cloudless skies and abundant sunshine. Oh well, off we went.